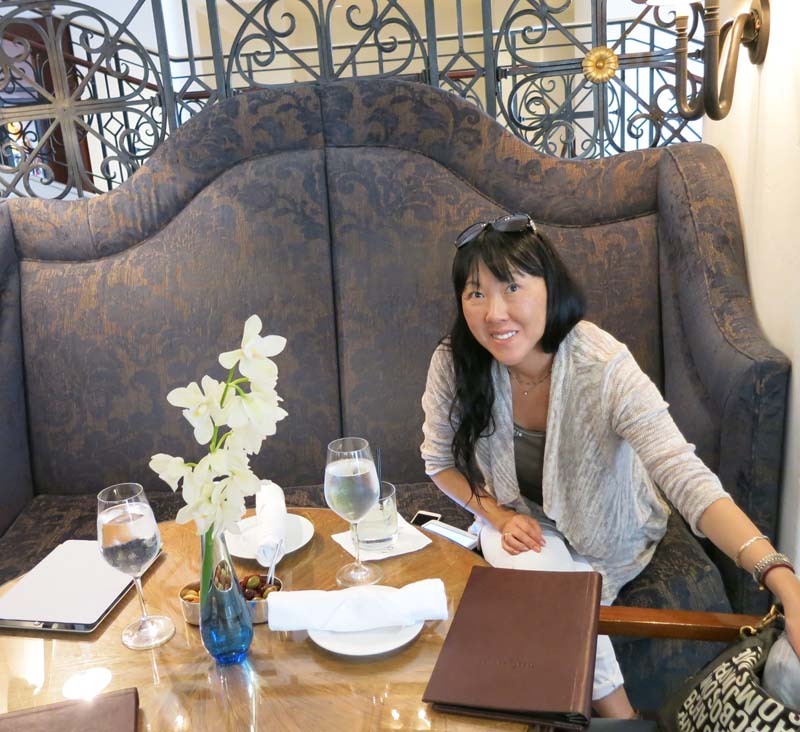 On September 14th and 15th, 2013 Katherine and I (Brian) went on a weekend away to Santa Barbara. It was convenient because we fly for free on Surf Air. Below are a few pictures, click on any picture for the highest quality "original". 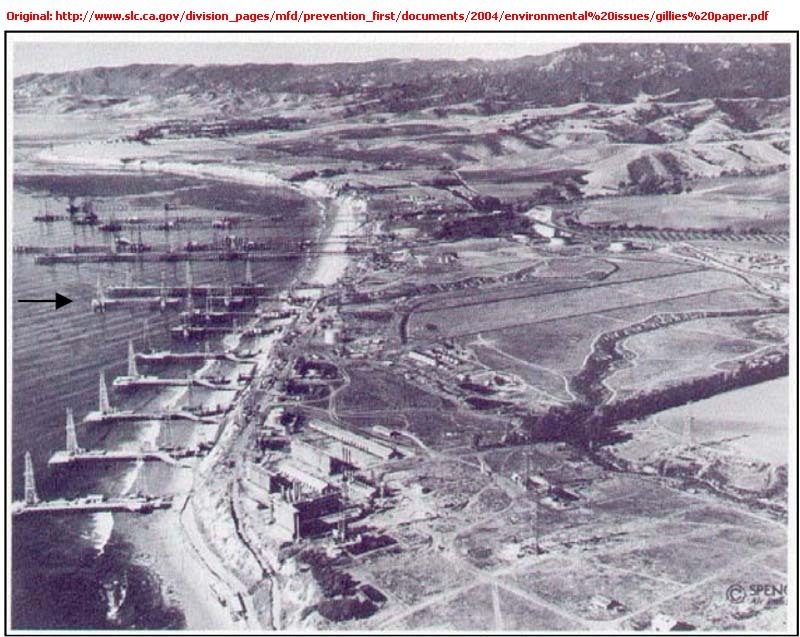 Below is a random picture with the correct spelling of "Bacara Resort" so I wouldn't forget the name of the resort. 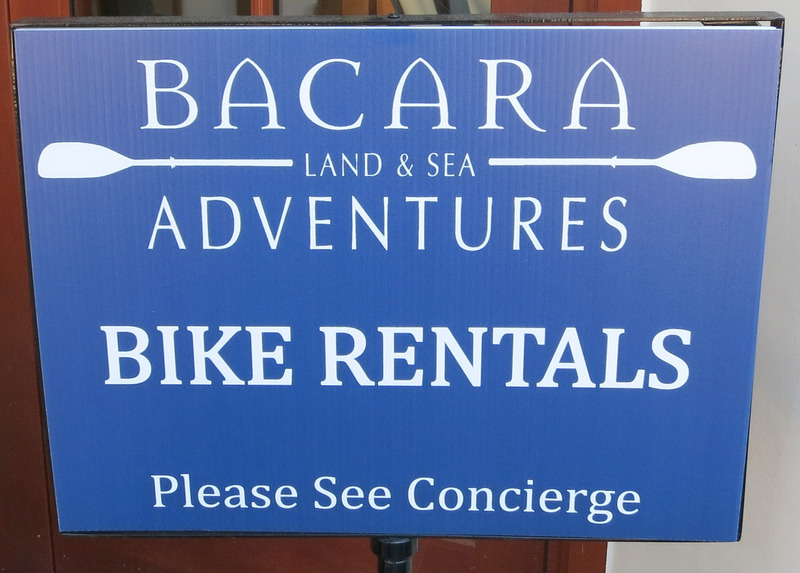 :-) Here is a Google Map of the location of Bacara Resort. 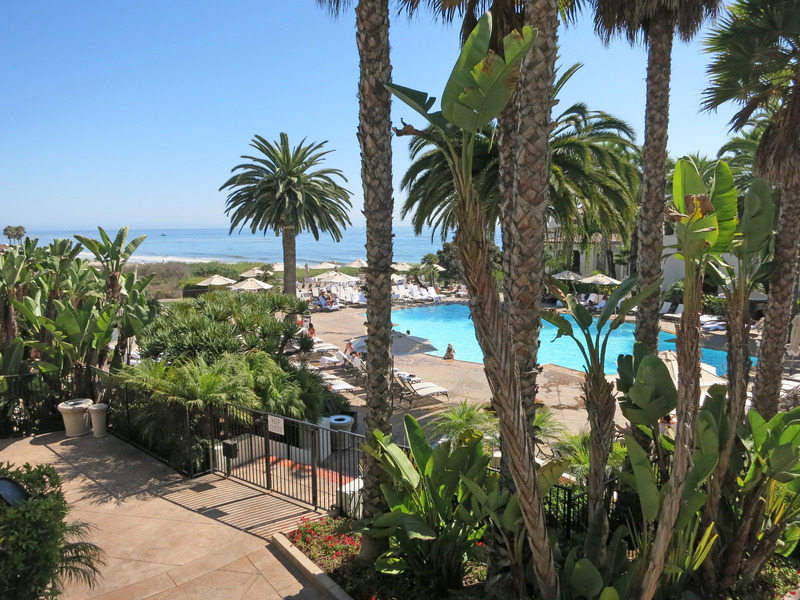 From the top floor (where weddings might be held) you can see the ocean from the main Bacara Resort building. 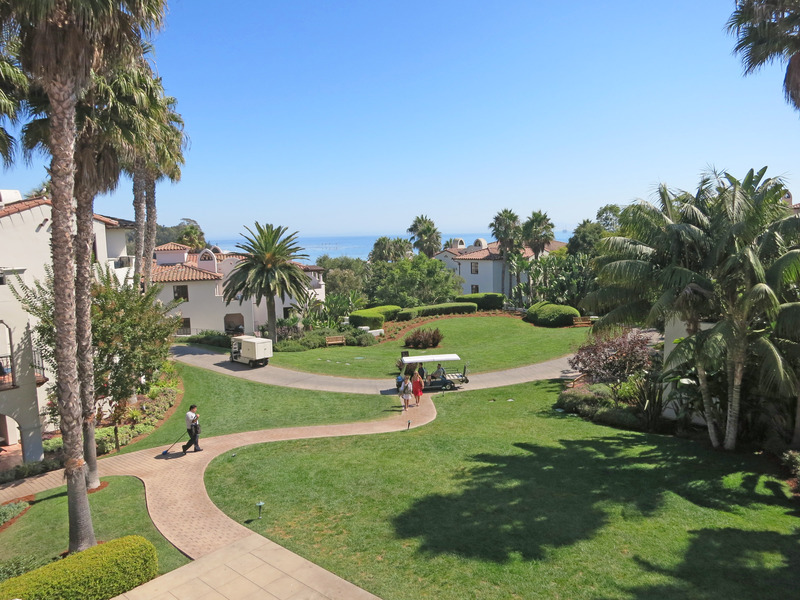 A view of the ocean and the Bacara Resort grounds. 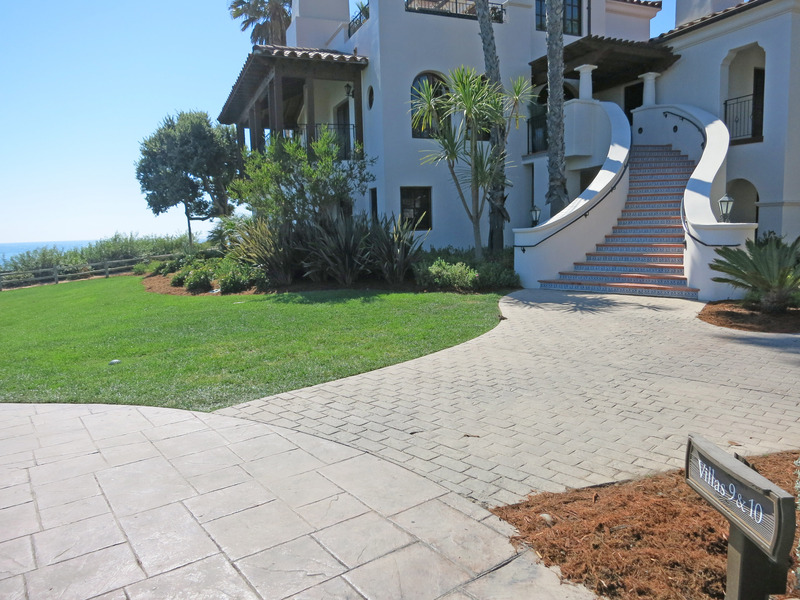 The Valet Parking area, where you check into the Bacara Resort. They keep any customer's cars that are "especially nice" out front in this area. Saturday night this included: a Maserati, a Bentley, two Ferrari, a Porsche, and a Rolls Royce. There was a BMW 7-series and a Range Rover slumming it in there also. 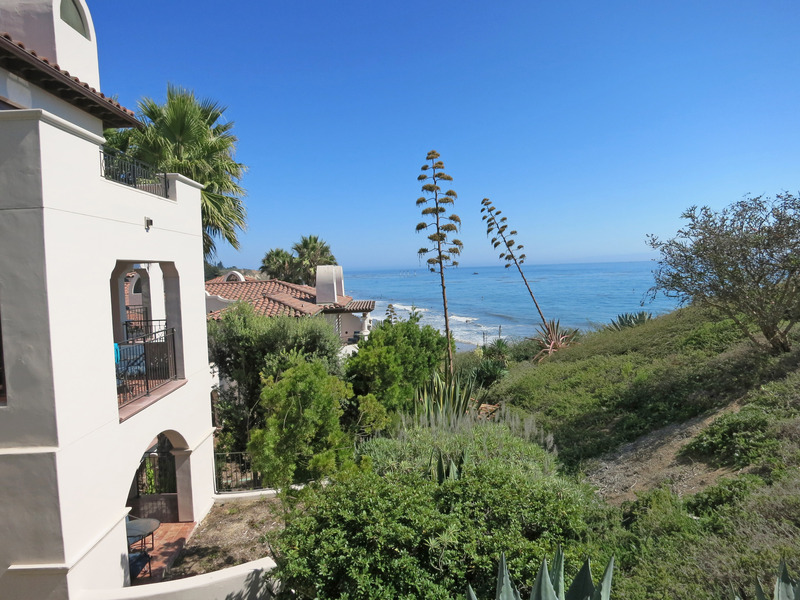 A picture of the beach, I'm currently standing on Bacara Resort, and that is the axcess path down to the beach. 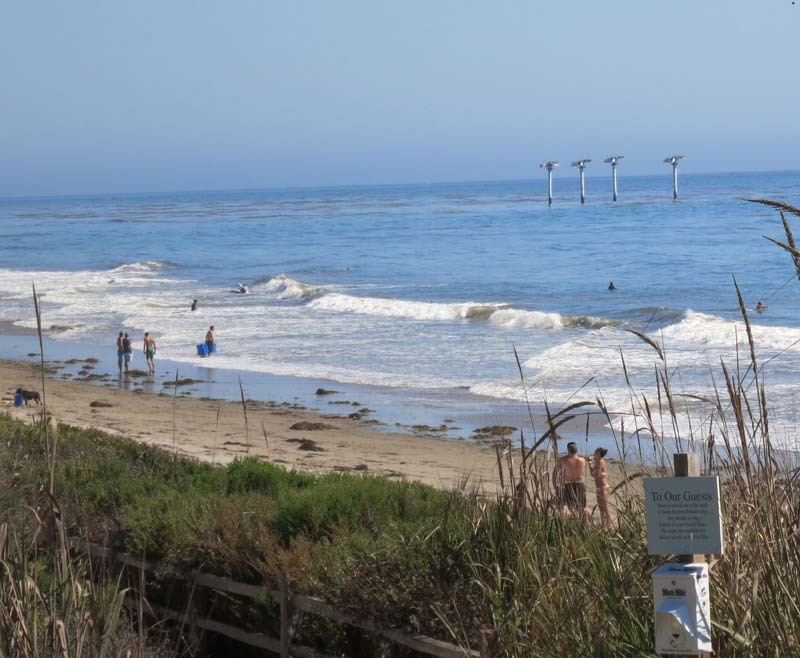 In the 1970s, there were 8 caissons left with a bunch of birds nesting on them, but they were slowly collapsing, so in 2002 the city of Santa Barbara tore the old caissons down and put up "Bird Island" which is 4 offshore posts with panels on top. Construction was completed by 2005. Below is the four modern "T" posts in the water called "Bird Island", these were completed in 2005 and are completely modern and entirely meant for birds to stand on. 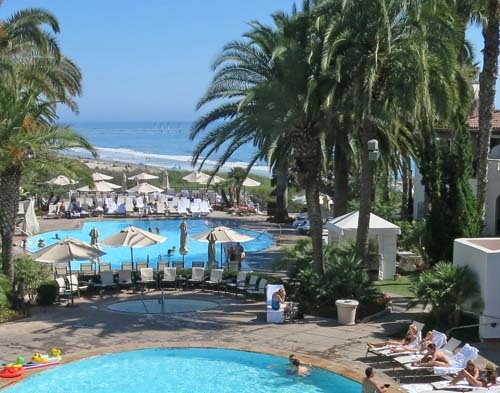 Walking around the Bacara Resort, you can see one of the blue pools in the picture below. 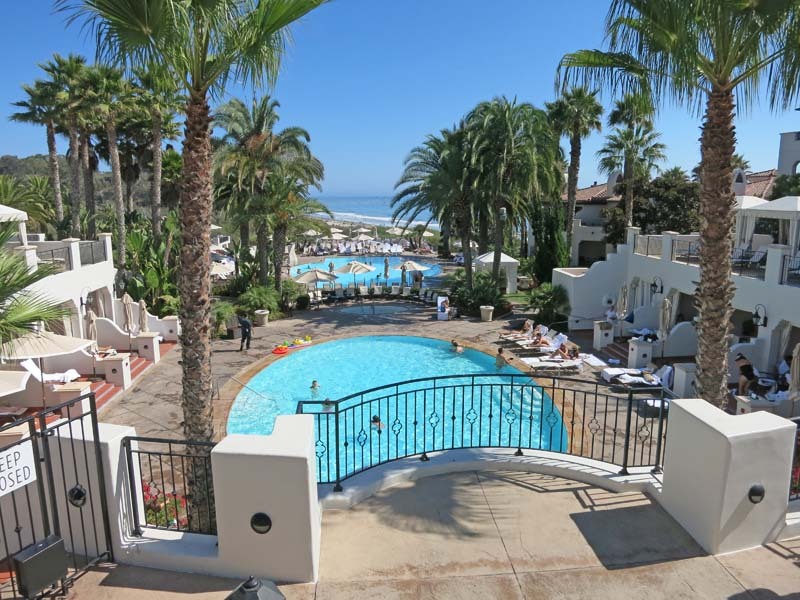 A scenic picture where you can see the ocean in the background and the pools area. Santa Barbara is filled with nice looking people, here are a few by the pool. 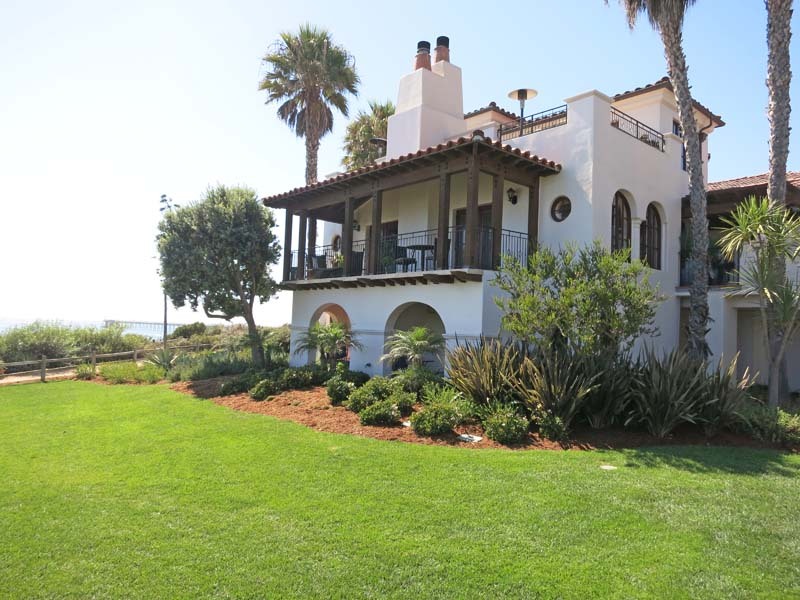 Down closer to the ocean. The picture below is a reminder to myself that the best Villa to stay in is "upstairs in Villa 10". There is a map below also, but this shows only Villa 10 (and maybe Villa 9 upstairs) have nice ocean views. Below is a better shot of the Villa 10 upstairs decks. Notice the heat lamp on the 3rd floor. 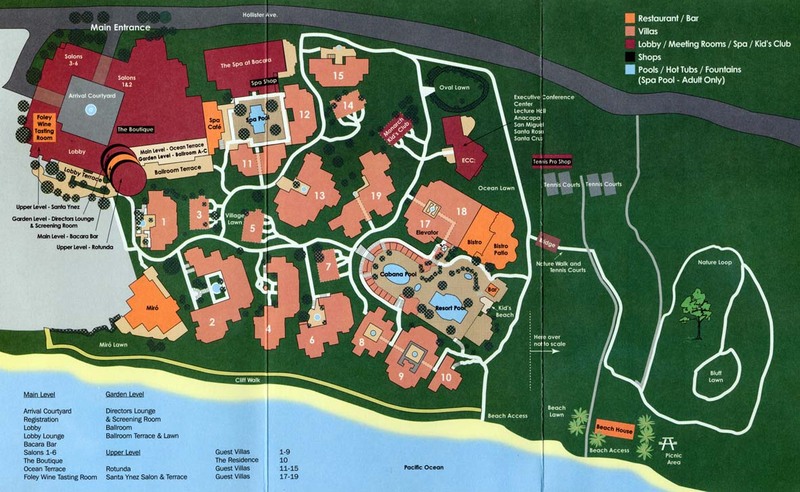 A map of Bacara resort. Below I'm standing in the shrubbery outside Villa 9, which shows you can get some decent views from VERY upstairs Villa 9, but Villa 10 is the best. Katherine relaxing in the bar, we're killing a couple hours waiting for our flight home. That's it! All done! Stop reading! This is not for you! Stop reading! I'm old, I forget things, this helps me remember for next time. Dopp Kit - toothpaste, toothbrush, moisturizer for body (vacations can get dry), etc.